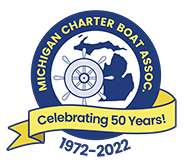 Michigan Charter Boat Association provides a directory of professional Fishing charter captains fishing for Lake Trout, Salmon, Steelhead, Brown Trout, Walleye and Bass. Shelter Bay is Located at 46.509735,-84.351654 on Lake Superior, Great Lakes Region, USA - Many Lake Superior captains fish Stannard Rock. The structure underneath the water looks like a underwater mountain range with reefs and drop offs and is known around the world for some outstanding Lake Trout fishing!